The dog/human bond transcends centuries. How do we know? Art. Dogs have been our friends, family and working companions for centuries, if not longer. 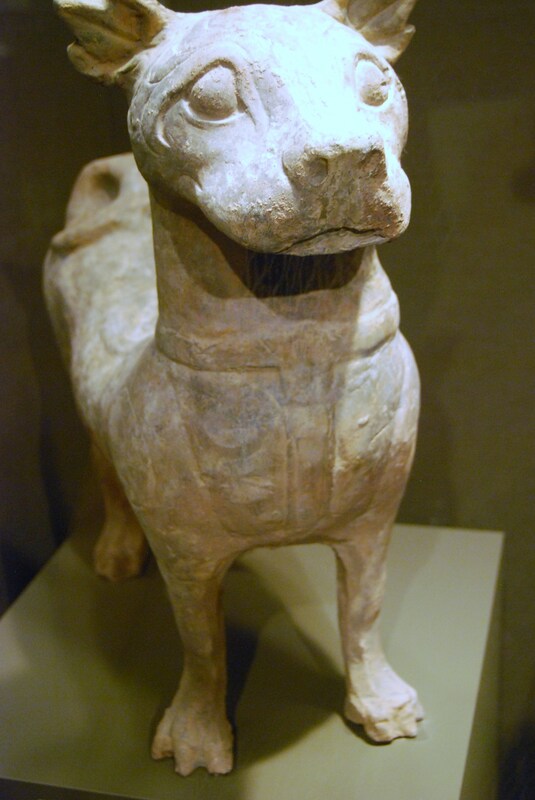 You can find evidence of dogs as our family, friends and working companions in almost every museum in your travels. Here’s something I discovered in the San Antonio Museum of Art in San Antonio, Texas. From the Chinese province of Sichuan, it dates back to the Han Dynasty (206 BC -AD 220) and is made of earthenware with slip and pigment. This particular piece was given to the San Antonio Museum that opened in 1981 in the former Lone Star Brewery building from a couple of trustees who jumped started the museum’s current impressive Chinese collection with a number of donations. The museum today is a multi-level archive of global art and artifacts housed in a former industrial building. Once on the edge of town, the gallery is now connected to the centre core by the ‘museum extension’ (added in 2009) of city’s iconic River Walk, a scenic landscaped pedestrian walkway along the San Antonio River and highlight of any visit … especially if you’re walking a dog. Like San Antonio? Let us know in the comments sections. Then checkout another post about Hamilton trails. Good to meet you (and the rats) too! I’ll try and get to the next BlogPaws but it’s early for me to plan it yet. Thanks, I’m draw to animal art in general every museum I visit… I’ll post more art from more place. Please sign up to receive regular posts. I only post two or three times a month.